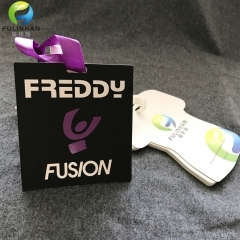 Custom Hang Tags are an excellent way to promote brand identification,they are not simply for brand information purposes. 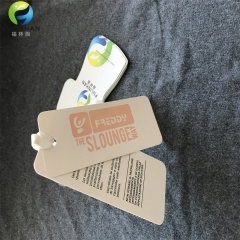 They add value to your clothes by strongly identifying your brand. 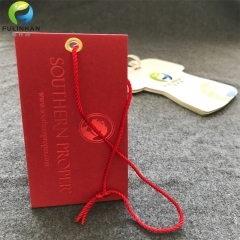 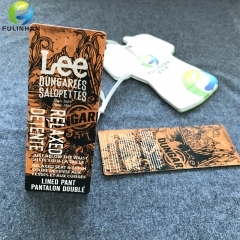 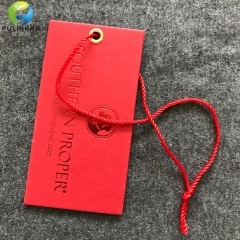 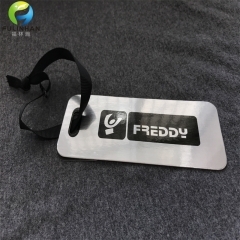 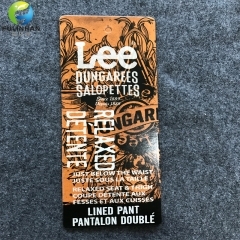 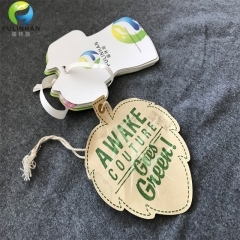 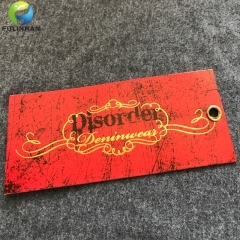 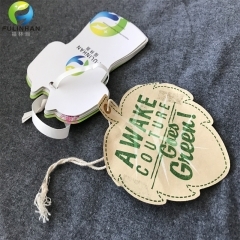 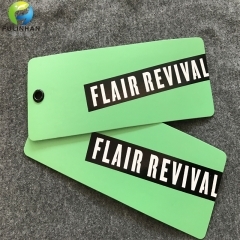 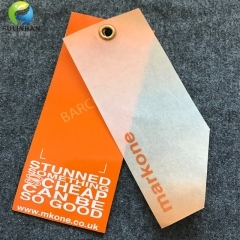 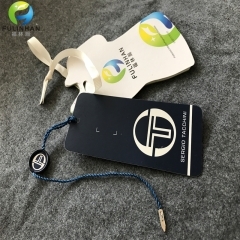 Garment Accessoires of Paper Hang Tags Shiny UV printed brand the LOGO. 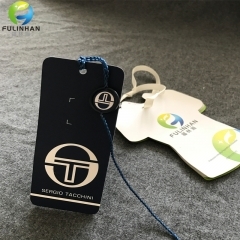 Hang Tags with Metal Eyelet . 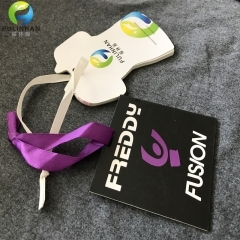 Shiny UV printed brand the LOGO. 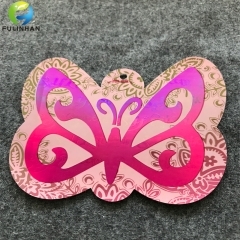 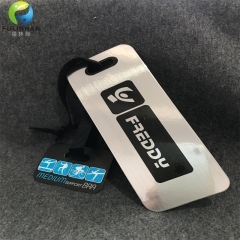 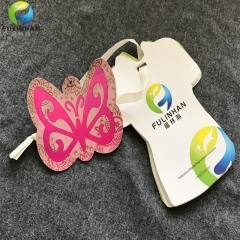 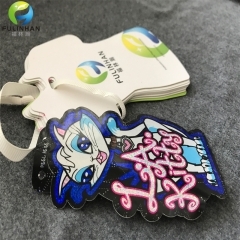 You can tear off the hang tag which with sticker.Laser effection butterfly hang tags. 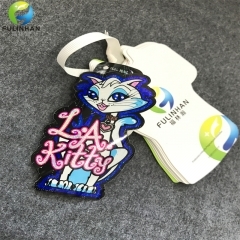 A high quality hang tag brand your apparel. 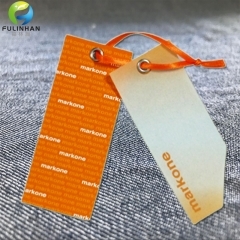 A high quality hang tag will make your product stand out. 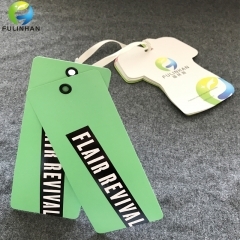 The hang tags serve as your calling card and raises brand awareness. 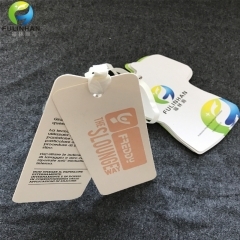 You can tear off the hang tag which with sticker. 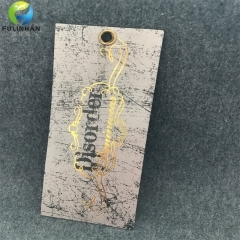 Paper Card with Gold Stamping.Factory directly in China.